Aircalin is an airline that has been on my radar for a while. They’re the international carrier of New Caledonia, which is a French territory. The airline operates a fleet of just six planes out of their hub in Noumea, including two A330-200s, two A320s, and two DHC-6 Twin Otters. The airline will soon be renewing their fleet, though, as Aircalin will take delivery of two A330-900neos, as well as two A320neos. Aircalin’s destinations include Auckland, Brisbane, Melbourne, Nadi, Osaka, Papeete, Port Vila, Sydney, Tokyo, and Wallis. The airline has been on my radar for a while, though I figured I’d wait until they get their new planes before reviewing them. Aircalin’s current A330-200s feature angled seats in a 2-2-2 configuration. While that’s alright, that’s not exactly a great hard product. 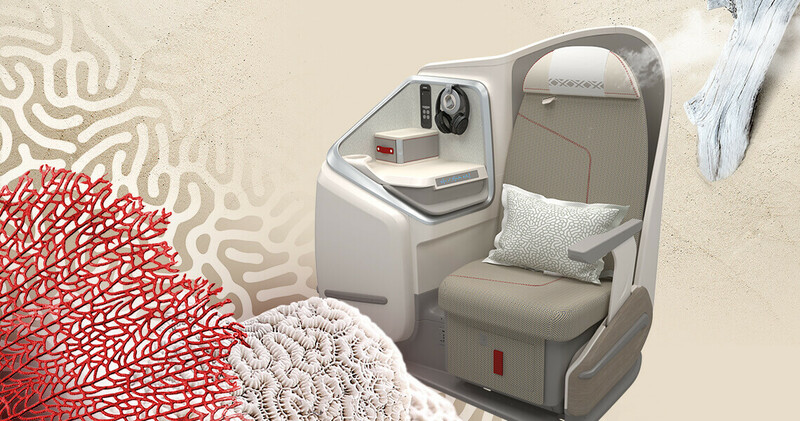 We’ve known that the airline will introduce a new business class product on their A330-900neos, and a couple of months back the airline even loaded the seatmap for their new business class product. 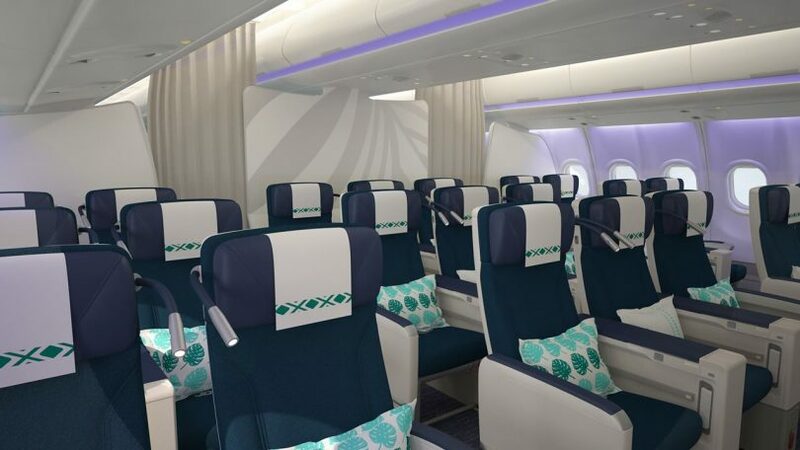 Based on that we knew that Aircalin’s A330-900neos will feature 26 business class seats, with direct aisle access at every seat, meaning they’re in a 1-2-1 configuration. We didn’t know what kind of a seat they’d select, though. Well, now the airline has also revealed their new business class seat. 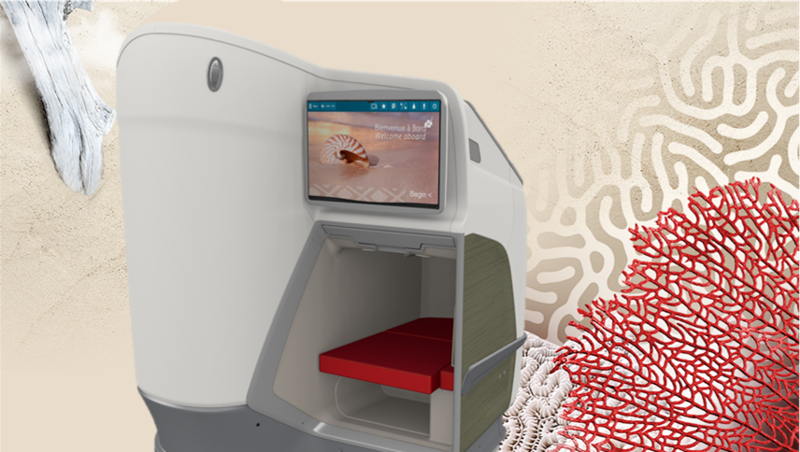 Aircalin has selected the Stelia Aerospace Opal seat for their new business class, which is the same seat that both Singapore Airlines and Turkish Airlines have selected for their 787s. That’s a beautiful product, and seems like an excellent choice! It’s also noteworthy that the A330-900neos will see the introduction of premium economy for the airline, as Aircalin installs a cabin with 21 seats on these planes. This will consist of three rows in a 2-3-2 configuration. Which routes will feature Aircalin’s A330-900neos? I’d note that there’s a good chance that these dates will change and possibly even move up, but at least this gives you a rough estimate of what to expect. I’m really excited for Aircalin’s new business class, and can’t wait to fly the airline and visit New Caledonia once it’s in service (there’s a beautiful-looking Le Meridien there). 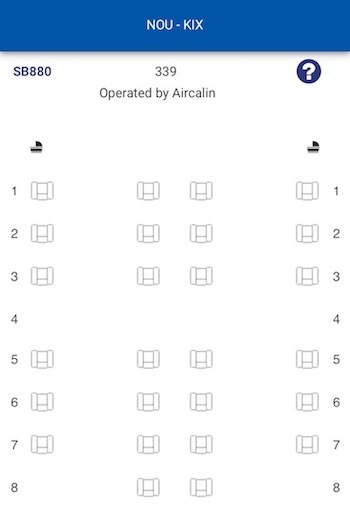 Aircalin uses Flying Blue as their loyalty program, so there are lots of options to earn and redeem miles for travel on Aircalin. 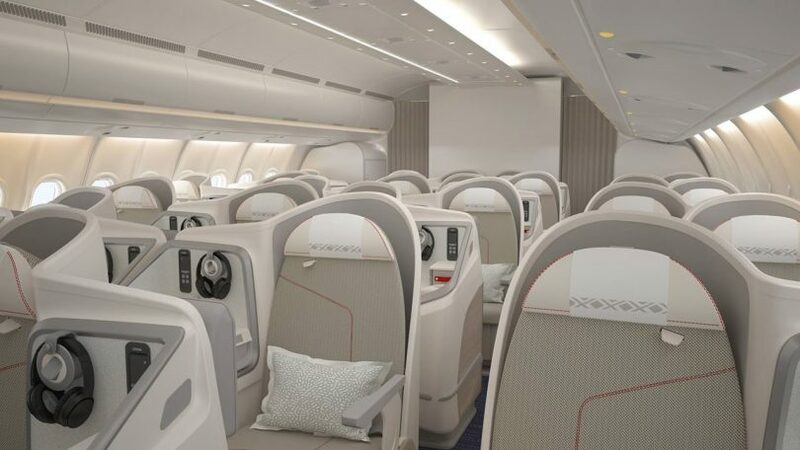 What do you make of Aircalin’s new A330-900neo business class? Adria CRJ900 Business Class: Was It Any Better? 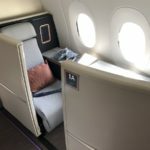 It looks like I’ll get the new MU J seats to SFO. I’m surprised by your enthusiasm for this product. While clearly better than what it replaces, aesthetically this J seat reminds me of 1960s space movies – all white and beige plastic moulded into odd shapes. A nice airline with god service even inn coach. 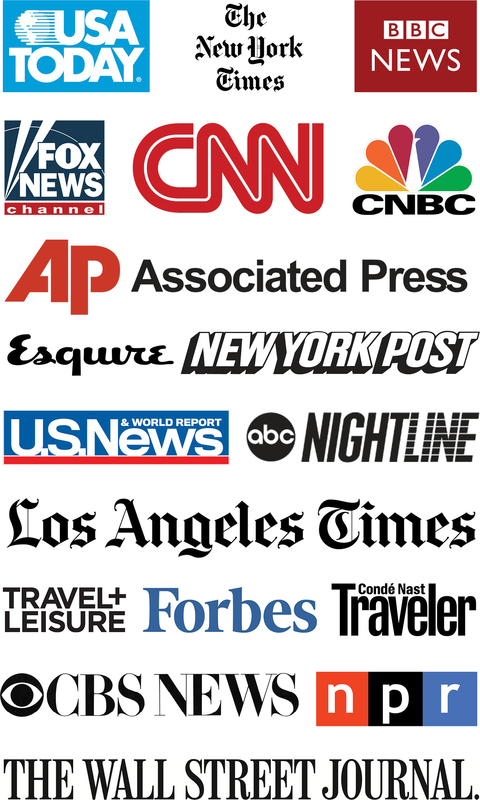 Where is TOA? It comes up as Torrance California Airport. SQ and Turkish use a customized version of the Stelia Solstys 3, not the Stelia Opal. We are at the Le Meridian Isle of Pines, leaving for Sydney tomorrow Saturday. Flew Aircalin from Auckland last Friday, spent two nights in Noumea. Should have budgeted more time in Noumea, very cool. I liked Aircalin, just economy but more like the good old days. The French touch is nice, permeates everything here. Gorgeous water, some of the most pristine reefs in the world. And the Le Meridian Isle of Pines is very special. We have a beach front bungalow, sitting on my deck watching some fishermen and the crystal clear lagoon. Probably head for the little resto up the beach for lobster and snails. Does not get better. I can highly recommend the Chateau Royal Beach Resort on Anse Vata beach, Le Meridien Noumea shares a beachfront with Chateau Royal on Anse Vata. Just to add, when you book Sydney to Noumea on Qantas, you will often be on AirCalin for one or both of the legs, so might be worth doing for anyone who wants to try the product but credit to OneWorld.